Seeing as you shut off comments on the previous post, I thought I would pop in and tell you that Valley of the Horses is not the first book in the series, Clan of the Cave Bear is and it is a much more historically interesting book. You must read A Journal of the Plague Year by Daniel Defoe, it is fascination. I think I must read it again. Robbie, thank you so much for popping by here to let me know. I did see it was Book 2 but not sure if they could be read independently. I’ll start with the first one and the Daniel Defoe is a must read for me. Isn’t it wonderful to chat about books from different continents, united by one beloved interest! PS. So many had commented in depth on the first post about the challenge, hence the reason I turned off the comments. Also, I’m posting a book review tomorrow and I think this is one that will particularly interest you and your current work – and it is superb, heartwarming, brilliantly written and now one of my favourite books! Yes, I did read the first post but just wanted to let you have my extra thoughts. I’ll pop over and read the book review. Have a lovely evening and stay warm, Annika. Great post! I participate in the Goodreads challenge. Last year I just met my 50 book quota by the end of Dec. This year I have the same quota but I’m getting a better start. 6 books read so far! It depends on your tastes, but I read a wonderful historical mystery set near Nelson, BC. Set in 1946 A Killer in King’s Cove is the story of a 26-year-old woman who is trying to build a new life after working for British Intelligence. The author is Iona Whishaw. I will definitely read more of her books in this series. How many books I read a year, got no idea, as we speak I can see unfinished books that I am reading all over the place, stacked by columns of ten, to twenty or more books, even in the kitchen, and other odd places! But I figure buy six, or seven books a month, do I finish every book? No, some I just do not care for, and give away, after few pages, other I reread up to three, or four times, some I go back and read a chapter, or a couple of pages every so often until I am done. Tend to stay away from novelty books everybody talks about, basically interested, on what I like, and find of interest, I am pretty eclectic, and read stuff few people care about it, do not care for genre books, but occasionally may read one, just to see what the hell I am missing, unfortunately I feel guilty reading stuff that find like junk food, good to the taste, but if not unhealthy, a waste of time, same that it’s short, and can be spent on a better book. Recommending books to people you hardly know it’s difficult, I have an old friend who I recommend books to him constantly, but know his taste. Spanish it’s my birth language, he like novels, so I recommend, to him many Spanish, and Portuguese authors, specially the old ones, and a few new ones. Margaret Jull Costa, Gregory Rabassa, Lucia Graves, specialize in translating those kind of books. Sure, if you like novels you may enjoy writers from the Iberian, silver age of writing, I recommended to my friend Bob, recently authors like Machado de Assis regarded as the greatest writer of Brazilian literature, and he told me he is enjoying him a lot, and reading whatever he can find in English. Unfortunately a lot of these writers works like Leopoldo Alas, Benito Perez Galdos, Armando Palacio Valdes, Pio Baroja, Eça de Queiroz, Blasco Ibañez, Juan Valera, Valle Inclan, Emilia Pardo Bazan, and many others were never translated fully, but only a few of their books, they wrote great literature, the catch is, unfortunately, that most people now day, lack historical knowledge to understand the mores, and thinking of those days, and may find it incomprehensible, or not to their contemporary taste, so much influenced by cinema, in taste, but far from classic literature. And even more contemporary writers are not fully known or translated into the English language, just a work that would interest, and delight, any lover of literature, would be Rafael Cansinos Asséns, 1882-1964, who Borges recognized as one of his mentors: ‘La novela de un Literato.’ His literary memories, not published completely in Spain until 2005, and to my knowledge not translated yet. I just got done reading “The Waiting Room” by F. G. Cottam and have started reading “Whispers” by Dean Koontz. Koontz has been a favorite of mine for a while. I’m hoping to find some deals on more of Cottam’s books now that I’ve found him. Wow, yoiu have more ambition than I do! As for early (pre-1300) books, someone mentioned Jacqui’s book. If you really want to go old school, there’s always the Icelandic saga of Beowulf. Of course, any of the Greek classics would fit as well. I love the idea of keeping a notebook of all the books I read; however, I suspect I would soon forget to add books to the list. I’m actually using my GoodReads shelf to do this. Julie, thank you so much for your suggestions and Jacqui’s book is definitely on my list and I’m intrigued by Beowulf! And it would be great to complete one of the Greek classics (I started many as young but never finished them!) Goodreads is great for keeping a track of books read … and I never fail to be surprised with a book I thought I read last year, was actually a few years earlier! I have always loved books, and I am now finding again my love of books since retiring.. But your dedication to reading is awesome Annika.. And last year started visiting the library again, listening to audio books while I was knitting and doing my model making. loved your childhood memory.. I would read by torch light under the blankets.. I shared my bedroom with three other sisters, and when I was 17 got my first separate bunk bed. I loved my own little space..
Sue, how precious to rekindle your love of books as you find yourself with more time …it’s a love that never falters and I can just imagine your enjoyment and fulfilment. What a great idea about listening to books whilst undertaking other interests … I haven’t, so far, moved onto audiobooks but I won’t say never! I know so many who only ‘read’ books through audio and was even asked by the plumber if there was an audio version of my book! Wow! There were you four sisters all in one room, I hope you all got on but no wonder your own bunk bed was such a special memory to you. We all need our own little space … to read, write, create, dream. To just be! Thank you so much for your wonderful sharing comment, Sue, it always means a lot to me. BTW, your message on Sammy’s song was incredible, you captured it all and I was touched to tears by it. He’s in Copenhagen at the moment on his first ever trip abroad alone (well, he is with his girl-friend, but you know what I mean! ), they’re home tonight after an amazing weekend! My pleasure Annika.. I really felt what he must have intended for the listener to feel.. When it comes from your heart it connects.. I hope Sammy had a wonderful trip, I know how you must have felt, letting him loose for the first time. I remember that well. Its a Mothers prerogative to worry, and pretend we don’t lol. I thank you for your kind mention also on my blog and I am only just on my blog catching up for a short time this afternoon as I have been out all day and have plans for this evening and tomorrow. But catching up with older replies on my notifications because they have a habit of disappearing for good if I don’t answer them within a couple of days for some reason. Which is why I had altered my settings to moderate new comments on my blog. Or I have been missing some..
That is a very cool challenge, Annika. Plus I love the images you found. Gorgeous! Happy weekend hugs! I can’t believe I’m five days late in reading this magnificent post! I love your reading challenge and had not heard of this one. I had read Barbara’s recommendation of Wouk’s book Youngblood Hawke (I’ve read books by him that I loved) but I couldn’t find it in e-book form, and the text was just too small for me in paperback. I like the categories of book times, but one is missing – besides the future, how about ‘other worlds’, fantasy books like Diana Peach writes. They don’t belong in any of our time lines because they’re in a timeline completely by itself. PPS: I’ve just finished reading Crazy Rich Asians. And it was ….disconcerting, sad, eye-opening and….crazy. Sounds intriguing … would you recommend it? It’s on sale here in the UK at the moment. I feel guilty recommending it – the excess of wealthy wealthy people is rather nauseating. But it does give a sense of a different world that happens in front of us, which we rarely see. And there is a bit of romance in here too. Haha! 😀Pam, I was waiting for someone to recommend Jacqui’s book!! 😀 That has to be pre-time era and is definitely on my list but so happy you mentioned it. Oh, you’ll love This is Going to Hurt. My husband is now reading it and disturbing my serious Herman Wouk book by laughing out loud and quoting away from the book. I did find a kindle version of Youngblood Hawke for $5.21. The link is here https://www.amazon.com/Youngblood-Hawke-Herman-Wouk-ebook/dp/B00D8CSR3Y/ref=sr_1_1_twi_kin_1?ie=UTF8&qid=1548421494&sr=8-1&keywords=Youngblood+hawke It would be great for your holiday, though they might have to drag you away from the book! Great idea about ‘Other World’ era books and I’ll add that on … I had realised there was no category for these type of books. I must admit I am wary of even reviewing of The Devil Aspect on my blog as I can’t see many who would be interested, brilliantly written and fascinating but just too out there! You’re amazing! I just downloaded Youngblood on my kindle. I have some long airplane rides ahead – P E R F E C T!! Thank you my friend. This world needs more people like you, thanks! Wilson, thank you so much! This means a lot to me and brightened a very grey day! Wow, I’m amazed. You used to keep a notebook of books you’ve read? I call that commitment. 😀 I like all kinds of reading challenges but time is a factor. But I recently joined Goodreads, and I’ve also tried to connect with you or at least, I think I’m following you. In any case, I’ve have up the Reading Challenge. Right now I’m suffering from a reading hangover from Charlotte Bronte’s Jane Eyre. This book is long but hard to put down. I’m totally consumed by the story, and have sort put the other two books I’m reading aside. Yes, I’m one of those people who read more than one book at a time. Reading across genres makes this easy to do. And yes, ‘When Are You Reading?’ challenge shouldn’t be difficult to do. Have fun with eras! I love that you’re reading Jane Eyre and no wonder you’re totally submerged in her world. It’s years since I read this but it is a wonderful and all-consuming book. When little we often visited The Parsonage in Haworth and I walked the moors above the house, imagining the Bronte sisters ambling there, thinking about their books. I’m so tempted to reread some of the books now that you’ve mentioned this one! PS That first book about the lunatics sounds very interesting. It is superbly written, captures the era wonderfully and the intoxicating madness brilliantly. It’s out in March! I also participate in the Goodreads challenge, Annika. I have set a target of 60 books for 2019, that is 10 more than last year. Annika, my scores are written by the masters and are from different time periods from Middle Ages through modern times and many countries and languages. So reading musical scores is what I had in mind. I can barely put Bad Blood down and plow through until 2 AM and fight sleep. Almost finished, and I have read a movie is going to be made of this. Reading music notes and scores is a different kind of reading and with choral singing and words added, my cup is full. What an adventure with books and music scores. Thank you as always for such kind words to me. Much appreciated. What a beautiful childhood memory, Annika. I too, loved books from the time I could hold them. The public library became my home away from home. You’ve taken on a worthy challenge. I’ll look forward to your reviews throughout the year. Jan, thank you so much and the older me looks with tenderness at the young me and I remember being sad one day as for the fourth time one evening I asked my brother to read a bit and he said no! How wonderful that your library became a second home for you … is it still there? With all the closures these days I think of the children who won’t experience this. So happy you’re looking forward to the reviews … I’ll definitely do some and also keep an update of the challenge. I loved “How to Stop Time.” Matt Haig is such a quirky, interesting writer. I’m never sure what to expect with him. This is a great challenge Annika, I look forward to following your reviews for it throughout the year. Have fun! I’ve kept a journal of the books I’ve read over the past 8 or 9 years. I primarily started the journal so I wouldn’t read the same book again, by mistake. 🙂 Last year, I only read 53. I’m hoping to go well beyond that this year, but I do have a difficult time reading multiple books at once. I am in awe of Jacqui’s book count for 2018! Wishing you the best with your challenge, Annika! Hi Annika – good for you with this reading across time challenge! I’ve never been good at reading more than one book at a time, although I can sometimes manage if one is fiction and one is nonfiction or one is an audiobook. I’d never be able to read 3 or more, though! Thanks so much for the shout-out too. I’m glad you’re enjoying Youngblood Hawke. It is a long one, though! I appreciate that you are reading it. My book club gives me lots of grief for having picked a book with over 800 pages! I must admit I mostly read just one book at a go, possibly two but owing to semi-delirious state when ill I had to take a break from the heavier tomes for a ‘lighter’ reads! Hi Annika – I’m so glad you’re enjoying Youngblood Hawke. I also liked his mother’s character. The story is loosely based on the American author from North Carolina, Thomas Wolfe. As for the weather – we had 5 degrees on Monday and Tuesday. Now it’s 55 and pouring rain! I’ve kept detailed records since 1973. My best year was last year with 60. Worst was when we had 4 kids under 6! I read… One! Denzil, I’m chuckling away here and just trying to imagine having four children under 6! I bet there were days you were pleased just to be up and dressed! 😀 Did it take you all year to read the one book, having to go back a few pages each time to recall what had happened!?Wow! Congratulations on such superb long term record keeping of all your read books … that is most impressive! It was a Jeffrey Archer novel, which was about all I could cope with! She writes about characters in her native Canada, and this one takes place on a remote island off the coast. Enjoying it very much. Thank you for sharing your these books through you love of reading. I love to read a variety and have 2 or 3 books going at the same time. Makes finishing any if them take longer but, one usually stands out and that’s the one that I finish first. I challenged myself to read only “classics” several years ago. That was a lot of fun considering many are free on kindle. Now, I am focused on memoir. Thanks for the great suggestions on challenges and the books! I looked back at the list I read… it must have been over about three years actually! You are probably right about becoming more attuned. I finished War and Peace and a few other long ones! Yes, Becoming is on my list. Right now I am reading My Heart is Boundless which is not exactly memoir though it is journal entries and letter written by Abigail May Alcott (Louisa’s mother – Little Women, etc). I love it. I am also reading Watching the Daisies by Brigid Gallagher. I enjoyed Wild by Sheryl Strayed recently. One memoir I really got into recently was Confessions of a Trauma Junkie by Sherry Jones. I am mostly hunting for little known authors rather than the famous. I did recently finish Etched in Sand – great writing, sad story with hope and “happy ending.” In the kindle queue is Coming Clean A memoir, A Book About Burnout, and The Boy They Tried to Hide. Too many books, too little time! Oh, and I enjoyed a couple of D.G. Kaye’s books in the recent past – very easy to read, great flow. I think I am going to be in the memoir phase for a long time! Bonnie, I can identify with too many books, to little time! And you’ve just added to those books with some great reads here! As a huge fan of Little Women I have to look at My Heart is Boundless! I’ve also got Brigid’s book on my Kindle to read and read a couple of Debby’s books and more waiting! I started thinking of lots of memoir books I have read, but think you have more than enough at the moment! Have a fabulous year of reading! Thank you Annika! If you have any “stand out” memoir recommendations I’d love to know. Happy reading! Just want to point you in the direction of a wonderful memoir which I’ve just finished and reviewed here https://annikaperry.com/2019/02/07/elisabeths-lists-a-book-review/ It is called ‘Elisabeth’s Lists’ and is wonderfully written and remarkable. Thank you, I’ll add it to my list. I started The Glass Castle and really like it. Have you read any Joan Didion? Great curated list by the way! I knew there were reading challenges out there, but I didn’t realize there were so many. I did the GoodReads challenge two years in a row and made my goals both times. But this year, I’m not doing it. I’m so busy, and I can’t begin to guess how many books I’ll have time for. I really like the concept of eras or genres. That’s kind of cool. Wishing you many wonderful novels to read this year! Over the years here on WordPress I have seen so many different challenges and as I researched this post came across many more!! I was tempted to join them all but then have to be realistic which is why I like this one and Goodreads. For the latter the key is to aim lower than you think and then you’ll always be happy at the end of the year! I always have the chance to binge read when in Sweden with no distraction of internet, tv etc … otherwise I may very well never meet any targets! Staci, just love all the books!!! Bless! The last emojis is me at Christmas, savouring my book haul! Yes, I confess to being addicted to reading (thanks for the shout out!). Goodreads is the only way I can keep track of what I’ve read. I’m checking out the other reading challenge you mentioned. It sounds good. Oh–that picture–book of life. Love that. I found it on Pixabay and am saving it. My pleasure, Jacqui and I’m still in awe of all your book reading and reviewing ..puts me to shame! 😀😀 I can see why you more than most of us need GR to keep track of them all. This is an interesting challenge and I look forward to completing it … will keep updating now and then. Have a great time with the Goodreads challenge, Dorothea! It’s fun to mark the books up online and see what you’ve been reading through the year. How about rationing Netflix time instead? I’m not quite ready to give it up yet … all the various series programmes get me through the ironing! 😀 As for Adam Kay’s book – it is both so funny and so sad, not quite like anything I’ve read in ages and a quick read as well. Let me know what you think. I don’t keep track of the books I read, but since I use my Kindle a lot, I could always look through what I have there. I just finished The Sleepwalker by Chris Bohjalian. Now I’m starting Becoming by Michelle Obama. You could read Don Quixote which was written in 1605 and 1615. It’s very long, but it’s considered the world’s first modern novel. Another old novel: Dream of the Red Chamber, a famous Chinese classic, written in the mid 1700s. Oh, I am tempted to look at The Sleepwalker but feel this is another book that I wouldn’t read at night!! (Me being a bit of a wimp! 😀) Becoming is lying next to me on my bookshelf and I am looking forward to reading this … savouring the moment until I start. I had no idea that Don Quixote was considered the world’s first modern novel – it is one of those books I’ve meant to read but never got round to … a brilliant suggestion and thank you so much. The Chinese classic sounds wonderful, I love the premise to this and this would be perfect for the era. Congrats on undertaking a GR challenge, Annika! 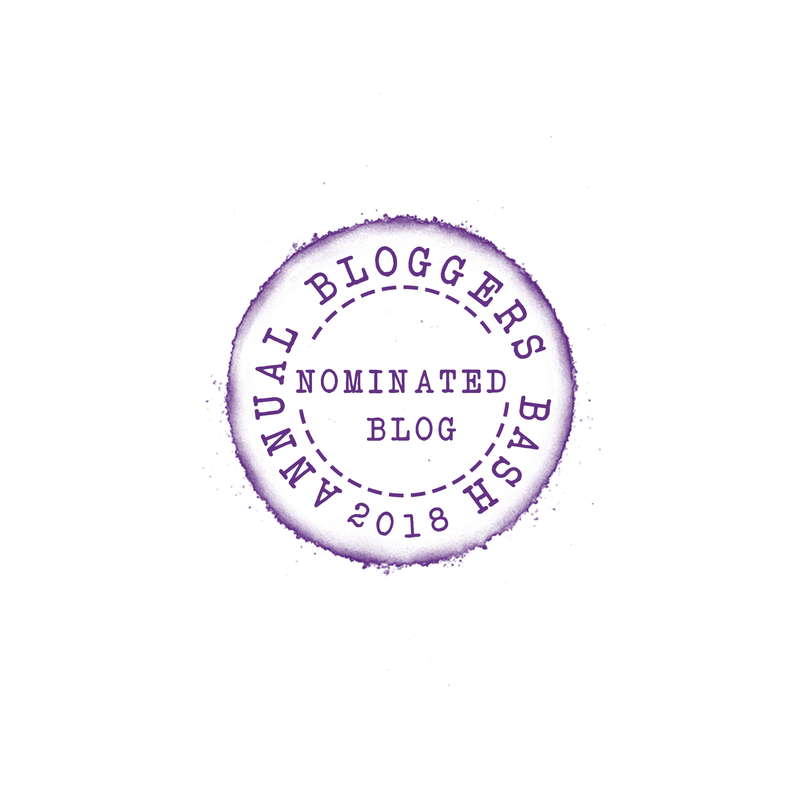 It’s something I’ve participated in yearly since I first starting publishing and blogging in 2012. I go for a total books read in a year, rather than a theme. I surpassed my goal of 65 books in 2018 to reach 79. My highest was 80-some two years ago. If I wasn’t writing, I’d surely be over 100 as I read most every night. I’m addicted to it, LOL. There are even times I wish I wasn’t a writer just so I could read. As for a classic: How’s about Boccaccio’s Decameron (in translation of course) for the 1300’s? What I find interesting about reading challenges is that they allow us to be mindful of what we are reading. Time doesn’t allow us the luxury of reading all the books, so we much chose carefully and rely on others to provide insight on books that we simply don’t have time to read. My 2019 gift to myself was to sign up to Audible, which allows me the flexibility to complete my daily walk and listen to a book. Currently, I am reading “Auntie Mame” by Patrick Dennis. “The Romanov Sisters: by Helen Rappaport, “Passionate Minds by” by David Bodanis and listening to Stephen Fry’s “Victorian Secrets.” Looking forward to hearing your thoughts on the books you have chosen. Life is the very best when shared with kindred spirit. Have a wonderful week. Thank you for making my day pure sunshine. Interesting challenge! I’m looking for a recommendation actually, as to what Dostoyevsky book to read first. Hubs has read them all and given his suggestion, but I wondered if you have read any. Book Club Mom has me adding Youngblood Hawke to my TBR list, and now I see you’re reading it! What a lovely memory you have shared from your childhood Annika! Big books always fascinate children. I have never challenged myself to read more books and have written in detail about the reasons in one of my posts…the main one because I don’t want to hurry through the books; I like to read without any pressure. Reading Chaucer for pleasure? NEVER! I read him painstakingly for passing my Literature exams and vowed never to read more of him! Ever John Donne gave me jitters! I could maybe read the requisite number of books but how many would I remember a few weeks later, Annika? I find my memory sadly lacking in this respect. I’m reading a Melvyn Bragg at the moment. The novel I read previously I enjoyed enormously but I’m challenged to recall the name now. I should adopt your system of jotting down. Life is way too challenging sometimes. 🙂 🙂 Happy reading! reading & writing lessons for local 1st graders. I was wondering if you had produced the video … the music was wonderful and lovely to listen to their thoughts and chatter. Superb sound quality and visual recording … well done. Have you worked in this field professionally? David, bless you for your gentle comment and I’m so happy my post has encouraged you to read even a bit more. Writing comments here I realise I am most definitely enthusiastic about reading and books, and could gabble on non-stop! 😀 Oh yes, it is a matter of finding the old books but which are still good and readable! How wonderful that you work with the young ones at school, an incredibly rewarding time for both them and you. I helped a number years at my son’s school when he was younger and thoroughly enjoyed meeting all the students, and wow, their enthusiasm and intelligence was fantastic. So fresh and lively … not the world weary we encounter in so many places. I never did a reading challenge before, mainly because i don’t always keep tabs on goodreads or other places, and also because i don’t have a particular timframe set aside for reading. sometimes i go on a reading binge, and because screen readers pretty much work the way audio books do, i can read a fairly long book in a day or so. Because of that, There are months i read more than 20 books, others i read none…. you get my point. But i think this challenge is interesting. I haven’t read a historical in ages, but the ones i used to read were mostly fantasy or romances – yeah, i’m a romantic at heart and enjoy those little pangs when the book is well written. Wishing you good luck with the challenge. and oh, the good vs. bad day part was kind of funny. Another suggestion for the pre-1300 category: the Cadfael novels by Ellis Peters (the pen name of Edith Pargeter). You may have seen them in their tv dramatised forms, and the books are well worth reading. Good luck with the challenge! Clive, I did see some of the Cadfael series on TV and thoroughly enjoyed them. I would love to read the some of the books and they are perfect for the first category. Thank you so much for the recommendation. I must admit to feeling rather shame-faced as I had no idea that Ellis Peters was the pen name of Edith Pargeter. Looking at her biography she was a phenomenal writer and led a very interesting life! I think this is turning out to be an even more interesting challenge than I realised … and I will keep updating my progress through the year. This is a great suggestion. I love the Cadfael novels! Hi Annika. A good novel for the 1600s is A Journal Of The Plague Year by Daniel Defoe. I found it to be very powerful. Neil, thank you so much for this recommendation. I had no idea Defoe wrote factual books and this sounds incredible … I am fascinated by this time period in history and this book looks remarkable. I look forward to reading this. Hello again. It’s a fact-based novel. Very clinical in description of things. The book fascinated me. I’m so glad you’ve decided to join in, Annika. I smiled when I saw we’ve both read the same book – Adam Kay’s This is Going to Hurt. I bought it for my son’s friend who is a junior doctor but before I wrapped it my son said he already had it so I had to add it to my tbr pile, didn’t I? I’ve just finished it. Mary, I’m so sorry! As I’m having hassle with wordpress it’s tricky for me to check spam … just got in there today and found your lovely message! Thank you so much for pointing us in the direction of this challenge and I can’t wait to tick off more of the eras and will keep updating on the blog. I got Adam Kay’s book from my husband and I usually know about the latest book releases but hadn’t seen this. What did you think of the book? Is it quite as crazy as this in Scotland or is the health system a bit different? I love that last image!! It sort of describes how I feel about books, that each one is an adventure. Like you, as a child I needed no one to push me to read. It was not uncommon to find me in my room or under our crab-apple tree reading the day away!! GP, warmest thanks for your lovely comment and sharing the magic of reading. How special to enjoy a book outside under your crab-apple tree … I have a swing-bench on the decking just next to a lilac tree, which in the summer is full of birds – perfect place to lose oneself in a book. Funny you picked the last image as this nearly didn’t make it into the post. I came across it and fell for it but thought it might not be relevant, then realised it is always about the adventures/escape of books. Happy reading! Andrea, you’re right that the challenge is more about when the book is set than exactly when they are written. I love your suggestions … thank you so much! I’ve seen Kate Mosse’s books about but for some reason never looked at them closely. The blurb of Labyrinth has me hooked straight away and I thoroughly enjoy books across two timelines, with the present interacting of the past. I’m noting this down straight away! A great one for the pre1300! I am rather abashed to never having heard of John Dee before and after a google search realised his huge importance and incredible work. Wow! I am keen to learn more and hope to look at the Phil Rickman books you recommend. Even though you might not be a fan of historical fiction, Andrea, you are widely read with books set in history … these are excellent books and thanks again. Happy Reading! Annika, your title pulled me straight in, to read from so many eras of known literature. Your article is engaging and gives me such good guidance. I am definitely going to read ‘ Youngblood Hawke’ and ‘ This is going to hurt’. Both sound deep and entertaining. Now, what about ” Edda ” from 1300 … and ” The Emigrants ” by Vilhelm Moberg . Miriam, a heartfelt thank you for your wonderful and comprehensive comment. I’m so happy you liked the images … it’s always fun to try and choose some and pixaby has lots to offer. I wanted to capture the magic of books, and the first one gave the indication of time! Books have and continue to give us so much richness in life! Yeah … great that were tempted by some of the books I mentioned and I would love to know what you think of them once you’ve read them. I have a feeling that ‘This is Going to Hurt’ will have you spluttering with laughter and disbelief! Wow! What terrific suggestions of books to read as part of the challenge. I’ve never heard of Ebba before but thoroughly enjoyed researching about the writing now. It would be fascinating to read these 13th century in Icelandic literary works and will see if I find them in English. What a precious gift from the past! I’ve heard of ‘The Emigrants’ and meant to read it … sounds wonderful, intense and probably a bit tragic too. This is perfect for the 1800s and will let you know when I’ve read it! Hope you’re having a lovely sunny Sunday! What an interesting concept, Annika – to read across timelines. I suspect most of us are more familiar with reading across genres as we were encouraged to do when in school. My reading goal is to try to read more than I managed last year. As for pre-1300 – The Iliad, The Odyssey, The Aeneid. Some of the translations are absolutely deadening, so read several pages before you decide. Also… there’s Beowulf, which is classic for English lit! Great suggestions, Dorothea! My friend studied this at university and feels as if I’ve read it from her discussions. One I’ll definitely look at!